So, who are you & what have you written? My name’s Stephen Volk. I suppose I’m mainly known as a BAFTA-winning screenwriter in what I call the “horror and affiliated” genres: that is, crime, fantasy, science fiction. I wrote the infamous, some say legendary, BBC TV “Halloween hoax” Ghostwatch which appeared on our small screens back in 1992 fronted by Michael Parkinson and pretended to be a live broadcast from a haunted house – the switchboards at Television Centre were jammed with complaints and questions were even asked in Parliament! I also created and wrote the lion’s share of the ITV drama series Afterlife about a spirit medium and a psychologist, starring Lesley Sharp and Andrew Lincoln. 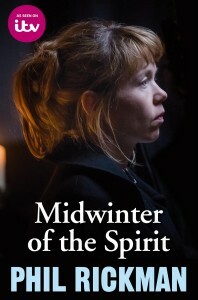 My most recent film credit is The Awakening starring Rebecca Hall and Dominic West in a period ghost story, and on television, a three part adaptation of Phil Rickman’s crime novel “with a supernatural edge”, Midwinter of the Spirit, featuring the investigative Deliverance Minister Merrily Watkins, who features in over a dozen books so far. 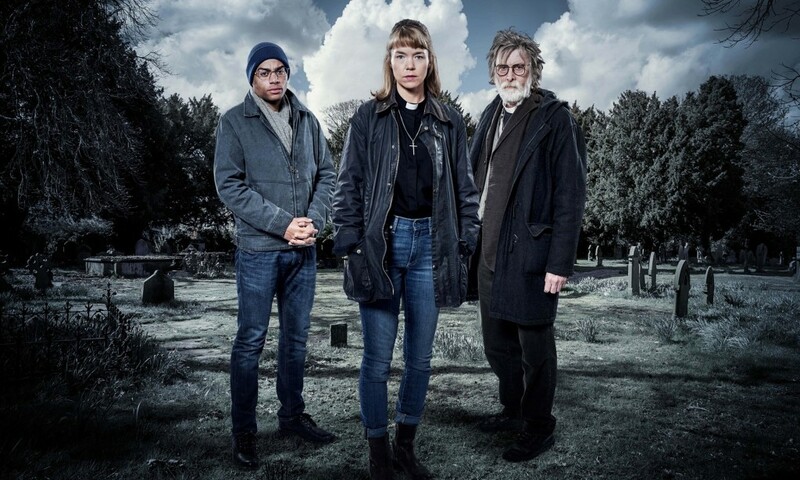 The mini-series premiered last September, starring the brilliant Anna Maxwell Martin and David Threlfall, but has since been repeated on ITV Encore. 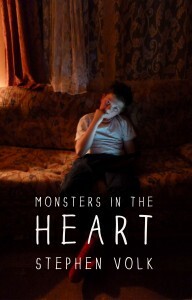 I’ve also written two collections of short stories and novellas (Dark Corners and Monsters in the Heart* – both published by Gray Friar Press) which intermingle crime stories with horror stories. My third collection will be called The Parts We Play and that one comes out from PS Publishing later this year and it’s a similar mixture. My stand-alone novella Vardøger (short listed for a Shirley Jackson Award) was a psychological thriller, and my most recent novellas Whitstable and Leytonstone (which feature, respectively, Peter Cushing and Alfred Hitchcock as protagonists) are more crime than horror – they both portray criminal acts at their core. They are both about people involved in the industry of making us scared, and I am interested in why we need that. The third in the trilogy is being written as we speak but it may be some time before it is ready to be published. I’m also developing a new TV crime series with BBC Drama, and a historical crime series with Company Pictures. I like writing about aberrant characters or situations because I think that heightens drama from the everyday, the soapy. Sometimes those situations are aberrant because of the impact of a supernatural force but sometimes they are about the infiltration into ordinary lives of crime. Either way it is an outside influence, character or occurrence that is the catalyst to test my characters and change their lives. In the case of crime it is usually a plausible threat, and in a horror story an implausible or downright impossible one – but the two can intersect and overlap. In Midwinter of the Spirit, the narrative is constructed as a mystery but the force of antagonism is a group of Satanists, so you could either argue these are Very Bad People or that it’s a borderline supernatural element. For me that ambiguity was an interesting one and was one reason the balance in the novel appealed to me. And I followed the lead of the book is that every scene that was (quote) “supernatural” could also be seen as entirely psychological. The crime is exposed and the crime is solved on one level, but for me the story was about love and faith, and above all a threat to both those things. Basically I like genre because it has rules and therefore you can break them – there is the unexpected and the expected, the cliché. Cliché makes us comfortable and there is nothing more comfortable than a detective solving a murder. That is the biggest cliché and bore to get away from, in my opinion. The detective solving a crime is a yawn to me. It should always be about people, not puzzles. Having said that, paradoxically I am writing a series of stories about Poe’s detective, Dupin, and his investigations of the grotesque and bizarre in 19th Century Paris. I think to a certain extent The Murders in the Rue Morgue was about the ludicrousness of rationality as a pursuit when real life isn’t logical at all: it’s closer to chaos and unpredictable or unfathomable madness. That absurdity of the “detective” appeals to me and at present I’m comfortable with Dupin as my detective (and Sherlock Holmes as his young assistant!) 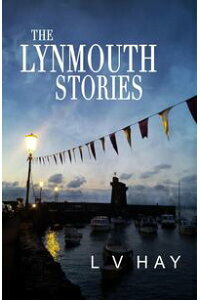 in these stories – which started with “The Comfort of the Seine” in Gaslight Arcanum (ed. 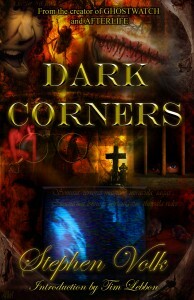 J. R. Campbell, Charles Prepolec, Edge Publishing) – but they’re really my homage to the genius of Poe. What informs your crime writing? Psychology and characters, essentially. It’s got to be a threat to the status quo and that can be huge or miniscule. It can be that you see a space ship or a razor-weilding ape, or it can be that you see you wife with another man. Or another woman. It’s equally interesting to me, but the journey you go on is all about what the catalyst reveals about the character, what the character doesn’t know about themselves, maybe doesn’t even become aware at the end of it, but we do. I don’t have a yen for being a police officer – I would be a terrible one because I’m a coward! – but I do have deep fears about what it would be like to be involved in crime, to be a victim, obviously, but sometimes I have dreams where I’m the perpetrator of something awful and unnameable and I don’t know what it is, and the dream is about loss of security and terror of loss of control. I think Hitchcock was much more interested in the universal fears of the everyday person than in the secret agent or detective, really. He said we all have common fears and it was his job to portray those fears because that is what cinema is, the sharing of those common emotions. I’m also interested in true crime stories, if they pique my interest I won’t let them go. I’ve spent twenty years writing a screenplay about a criminal that nobody in the last hundred and fifty years seems to have been interested in, but I am obsessed by. It took my a good ten years to research the case, then another five to reject most of my research and come to a conclusion about how I wanted to approach the subject, which was as a moral satire set around a criminal case, not a crime story at all. There is no puzzle because from scene one you know who did it. I like stories that explore: “Would I?” “Could I?” “What do I think about the person who commits that act?” “What do I think of society’s view of him?” Not to give the game away, but I tried to write the screenplay is such a way that you really empathise with, and even grow to like, a person who does something absolutely appalling. 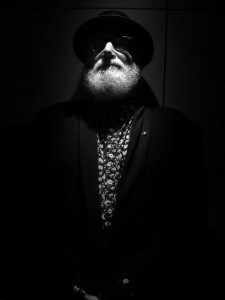 I like to confront, provoke – otherwise what is the point? That’s the fun, and it’s important to me, to challenge and get under the skin. I don’t see a reason to write crime fiction when it is all about plot mechanics. I don’t even like police procedurals on TV that much (though I will watch them, at a push): they don’t seem to me to be red meat. They seem like the vegetarian option. I’m still hungry afterwards. I guess I’m also informed by my background in horror so my crime stories are sometimes dark – but they’re not always dark. I found with one story that the more I made the voice telling it bland and matter-of-fact the more chilling it got, so sometimes a lightness of touch really pays dividends. I love films and TV shows like Fargo – where the violence touches on humour and it’s unsettling but paradoxically more real, because comedy and horror are estranged bedfellows and sometimes it works to reunite them like twins who have grown up in separate households. What’s your usual writing routine? I like to say I’m methodical and do a 9-to5. I like to say it but I’d be lying! I’m quite erratic, in fact, but I do work every day and sometimes it is super-productive and sometimes not. In the TV world a huge amount of time goes into meetings and phone calls, proposals and treatments – sometimes endlessly – before you start “writing” and that eats chunks out of the day so I don’t have a regular page or word count (unless I’m on a deadline). I’m terrible in the morning (more grouchy than normal!) and can’t get going properly before a coffee at midday but then I always go on into the evening or late night if need be – it’s about getting a rhythm and we all know when you hit that stride and it’s flowing you have got to keep your head down. But you don’t want to be on a roll and hit a knot in the wood, so I always plan with a scene outline in some detail (even in a novella, though it’s more scattergun) so I don’t get tripped up, even if I change stuff along the way. The worst thing is to be going great and hit a brick wall because you haven’t worked something out. Far better to have worked something out and then when you get to it you think of something better. The actual work is in the doing, the same as if you are making a sculpture or painting or anything, there comes a time to forget the theories and abstract ideas and maybe this and maybe that and just do it and make decisions and trust your instinct. Woody Allen says 80% of success is turning up, by which he means, by finishing. If you have a great idea or even a great treatment and the script isn’t finished you have nothing. So I keep going because the more stories you have out there the more chance of success: in that respect it’s a simple crap shoot to keep new ideas circulating because you literally never know which one will get a bite (it almost certainly won’t be the one you think is genius). Lately I alternate between screenplays and fiction. I like writing short stories and novellas amongst my screen work because, frankly, I’m in charge and what I say goes. Screenplays are a big commitment and you have to be in for the long haul, maybe years of development with different collaborators coming and going and that takes a very steady nerve. You can’t make a living from short fiction but what you can do is have a body of work that is entirely yours, nobody else’s input, nobody else’s “vision” – which is impossible with a film. You can get a lot of lovely things from collaboration, but you can’t have pure authorship, and you have to get used to that. Which crime book do you wish YOU’D written, and why? I know it’s currently being hyped after the Oscars but Room is a fantastic book. A stunning book and a staggeringly good film. You’re probably thinking “that’s not a crime book” but of course it is. A crime occurs. I also adore, for similar reasons that it goes against the grain, The Book of Revelation by Rupert Thompson and equally his Death of a Murderer which is fantastic. I love the way he uses Myra Hindley in that book – I love using real characters that way to illuminate the main character. I wish I’d written Zombie by Joyce Carol Oates (a deeply chilling portrait of a psychopath): her crime stories are amazing – always vivid to read and never straightforward. It’s probably boring but of course Raymond Carver – that story about the fishing trip does everything I’d want to do in a short story. But I’m sure a lot of people would say that! I haven’t read anything except screenwriting books in years , but ever since I got back my desire to write I am writing my third script. . After reading your article I think your crime books would be worth buying. I know I’ve seen a couple of your movies. Sorry I don’t remember the titles. I don’t read or see horror, but enjoyed your insights on writing it. You made it seem like fun. So thank you.